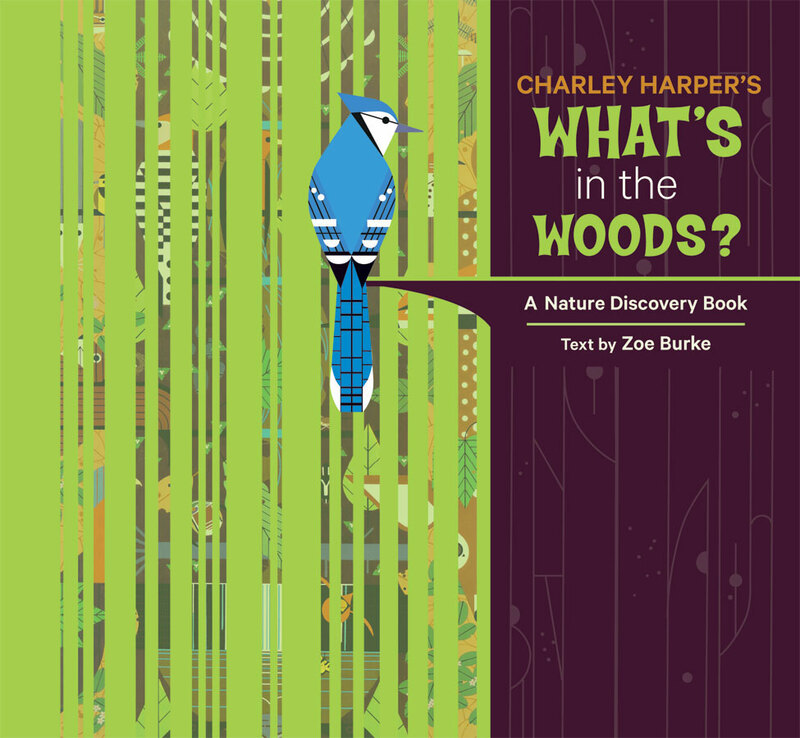 Mr. Harper used basic shapes to create animals, saying he, “winnowed out all but the most important details.” The following three board books from Zoe Burke and Pomegranate Kids proudly introduces children to the wildlife of Charley Harper. In Charley Harper’s Animal Alphabet, circles, triangles, squares, and lines become a beaver, cardinal, dove, elephant, and more as you continue through the alphabet. Kids will easily recognize each animal and most will understand the basic shapes that comprise those animals. This ABC book is fun for young kids learning their alphabet and for adults who love art, especially minimalistic art. Charley Harper was an artist for more than sixty years, working with his fellow-artist and wife Edie McKee. Charley Harper’s Count the Birds highlights some of those birds he watched. While made with simple shapes, the animals have intricate detail work filling the simple patterns. This detail makes each animal unique, humorous, and always a delight for the eye. The 6 Pelicans have long pointed beaks filled with lines of various thickness, beginning at and extending from mid-pupil. The connected pelicans look like banjos as they draw your eye from top to bottom. The 8 heart-shaped owls sit inside a heart surrounded by slivers of orange moon. Counting with Charley Harper reminds me of the BabyLit® board books from publisher Gibbs Smith (see examples HERE and HERE). Charley Harper’s Book of Colors completes the trio of board books young children will love for more than what they can learn. This book will inspire a love of art, just as the Gibbs Smith BabyLit® board books inspired a love of the classics. The red and black ladybug, in a field of green dots, or the orange spotted cat, laying on a tree limb, will catch the imagination of children and adults alike. Young children will learn more than the basic colors in this sturdy board book. Besides red, blue, yellow, green, orange, and brown, there is black, gray, pink, and white. He’s a very busy fellow. Zoe Burke’s perfectly rhyming text wonderfully complements Charley Harper’s artwork. Parents will enjoy reading these board books to their children. The books are sturdy and the right size for little hands. The bright colors and original designs will catch young children’s attention. I’ve seen a lot of board books over the years and truly believe these Charley Harper/Zoe Burke board books are destined to become classics. CHARLEY HARPER’S ANIMAL ALPHABET. CHARLEY HARPER’S COUNT THE BIRDS. CHARLEY HARER’S BOOK OF COLORS. Text copyright © 2015 by Zoe Burke. Illustrations copyright © 2015 Charley Harper Art Studio. Reproduced by permission of the publisher, Pomegranate Kids, Portland OR. Charley Harper’s Animal Alphabet at Amazon —Book Depository—IndieBound Books—Pomegranate Kids. Charley Harper’s Count the Birds at Amazon —Book Depository—IndieBound Books—Pomegranate Kids. Charley Harper’s Book of Colors at Amazon —Book Depository—IndieBound Books—Pomegranate Kids. Learn more about Charley Harper Board Books HERE, HERE, and HERE. Learn more about Charley Harper HERE, HERE, and HERE. Charley Harper’s What’s in the Woods? 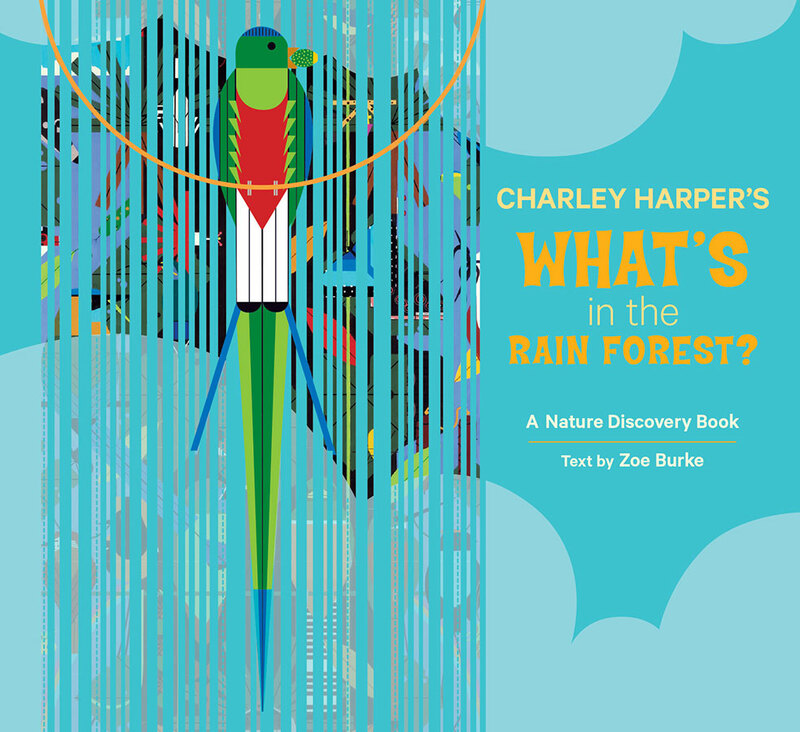 Charley Harper’s What’s in the Rain Forest? 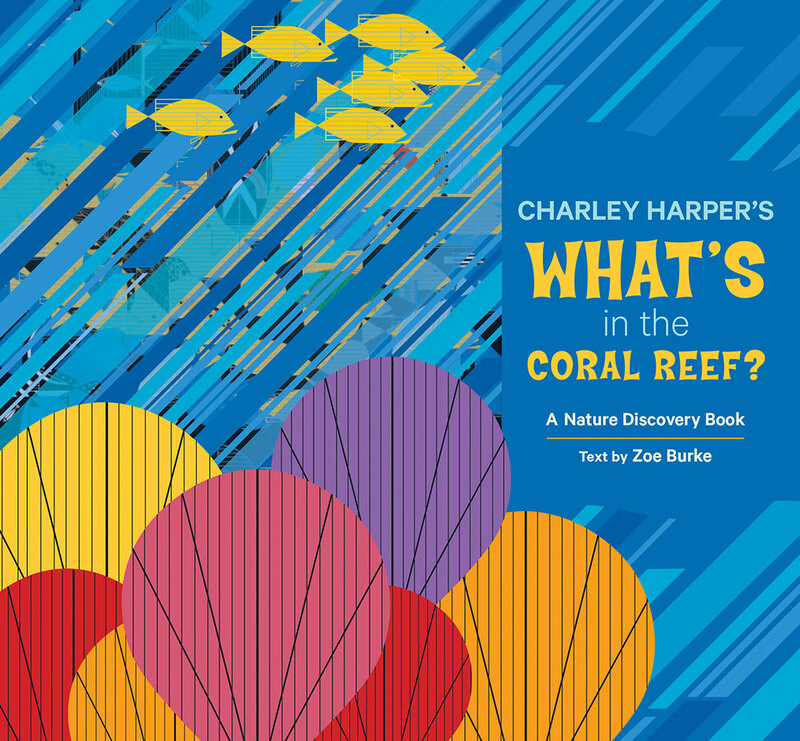 Charley Harper’s What’s in the Coral Reef? We LOVE the shapes and colors in these illustrations! I am hoping D is for Doggie…..
Sue, These are beautiful books. Thanks for reviewing them. Anyone who is an artist, like yourself, is probably going to like these. I’m glad you did.